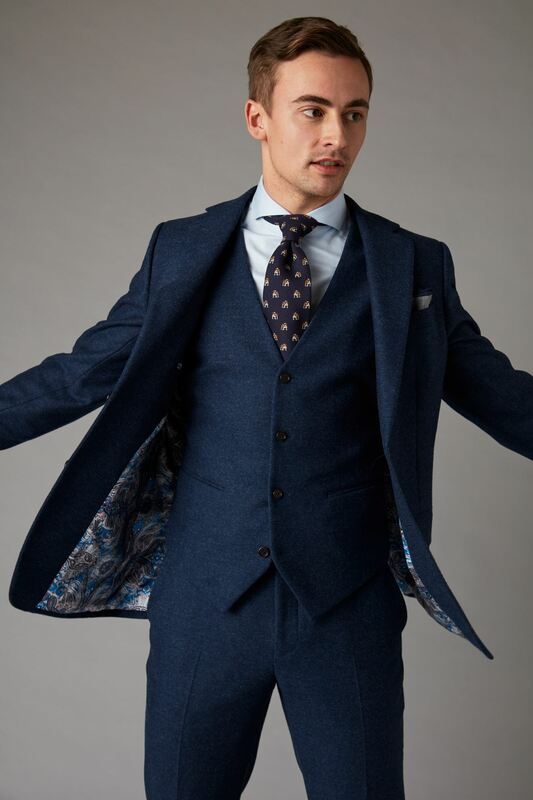 Slicken up your style in our blue tweed-effect three piece. 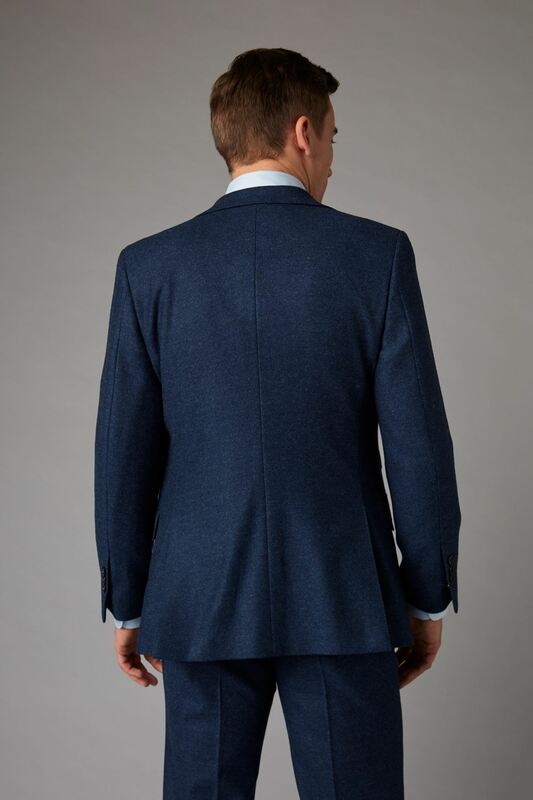 Single breasted for a streamlined silhouette, this classic blue number features hand-stitched notched lapels for a contemporary feel, with reinforced buttons, double-stitched lining and flap pockets. 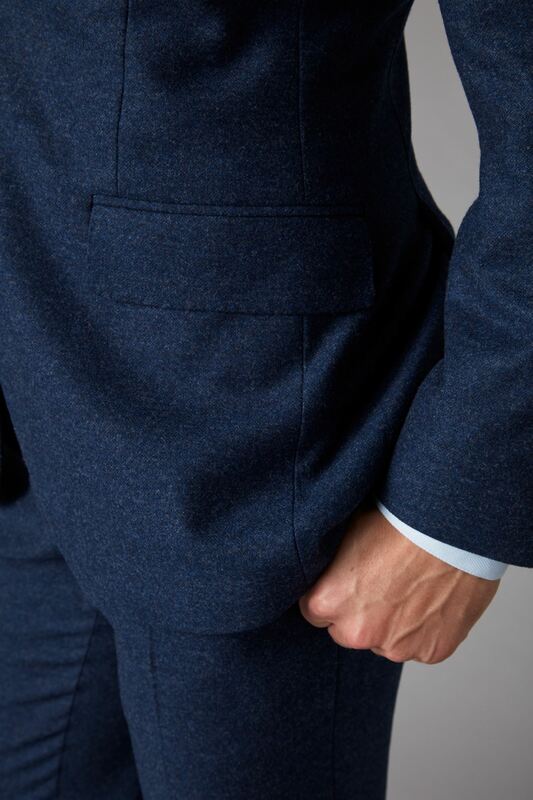 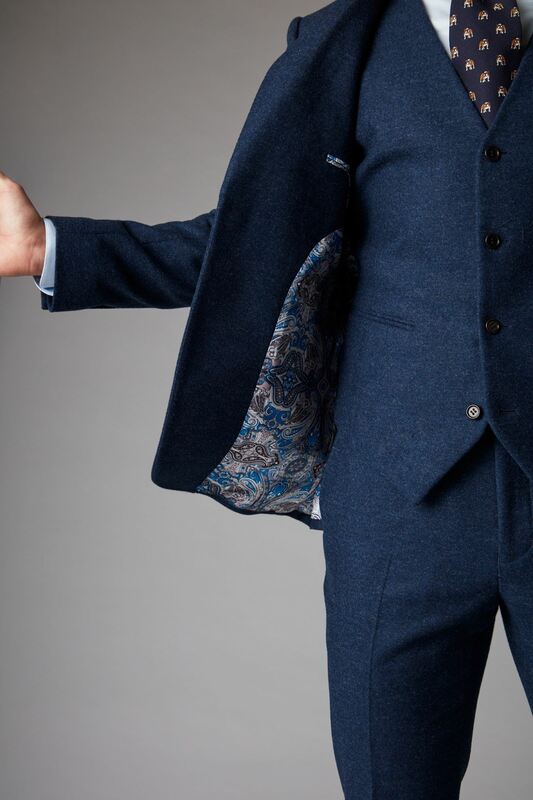 All our suits are fit-focused, custom-made on demand with fabrics ethically sourced from Australia. 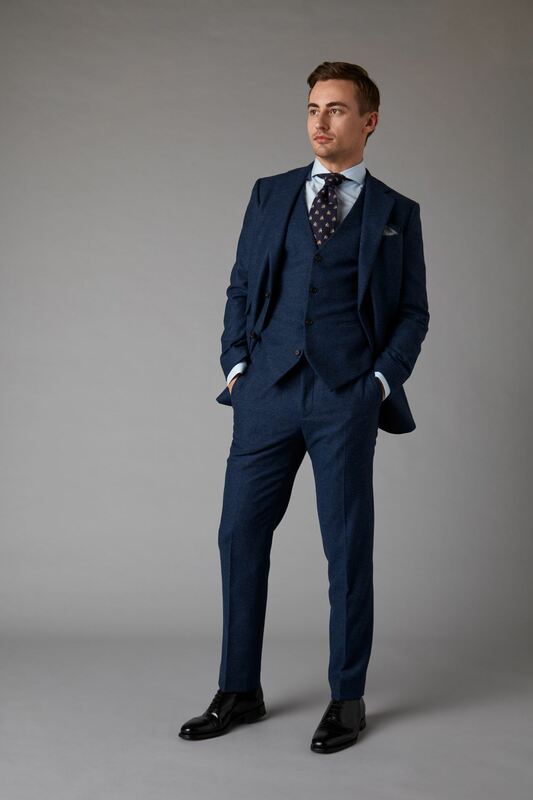 Pair with a light blue shirt and patterned tie for a relaxed yet refined look.